This error message can be caused by a few different things, but almost always it means that there is a problem sending emails on your server. Either your server is not correctly configured to send emails or requires that emails are set up in a certain way to be sent properly. Please try each of the solutions below until it works. Some hosts will block emails that have a “From” address that is not associated with the hosting account (as a spam prevention measure). To fix this, go to Settings → Email → Notification email settings in the form builder and at “From” address set it to Static email address then enter an email address that is associated with the hosting account. Note: this only applies if you have ticked the option Customize email content in Settings → Email → Notification email settings. Make sure that you have entered something into the Email content box of the custom email, leaving this empty will cause an error. You can configure Quform to send email via a SMTP server, therefore bypassing any restrictions of sending email via your web server. 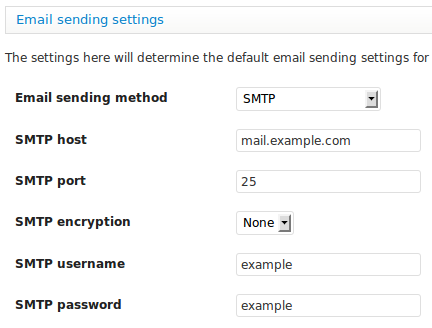 To do this, go to Quform → Settings → Email sending settings on the WordPress menu, at Email sending method choose SMTP. Enter the details of the SMTP server. You can use a free SMTP server such as Gmail – see this page for using Gmail with Quform. To find the exact cause of the problem, enable debug logging then submit the form again. The error message should be logged to the debug.log file.